In a large bowl, whisk together the olive oil, liquid aminos, vinegar, coconut nectar, garlic, fennel seeds, ginger, harissa and lime zest & juice. 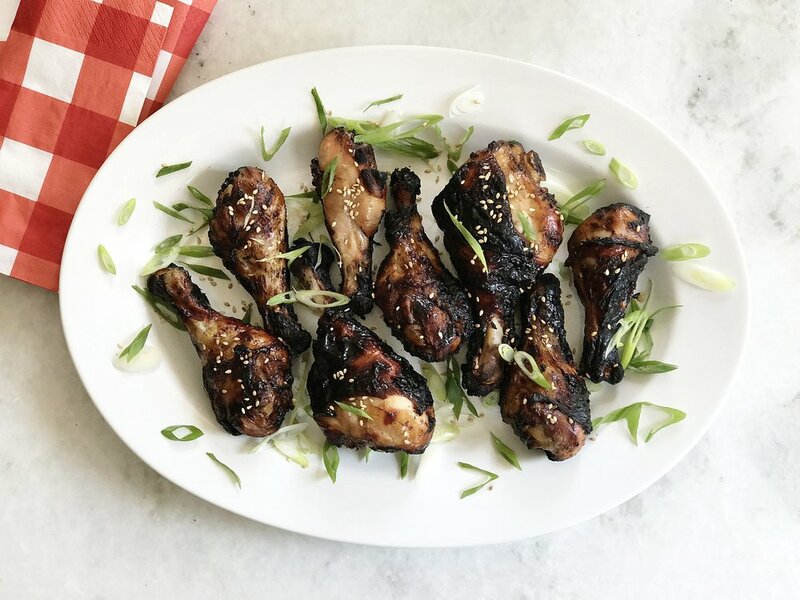 Pour the mixture over drumsticks, cover and marinate in the refrigerator for two hours. Pull your chicken out of the fridge about 30 minutes prior to grilling. Grease grill grates with sunflower oil. Preheat the grill to high heat, then turn one side of the grill down to medium, keeping the other side on high. Continue to coat the grill grates with oil to prevent your chicken from sticking. Place drumsticks on the high heat side first and cook about 2 minutes each side, rotating occasionally to get crispy skin. Carefully move the drumsticks over the medium heat side of grill and cook until internal temperature reaches 165ºF, about 12 minutes total. Transfer the chicken to a platter and tent with foil. Garnish with scallions and more harissa or your favorite hot sauce. Dig in!